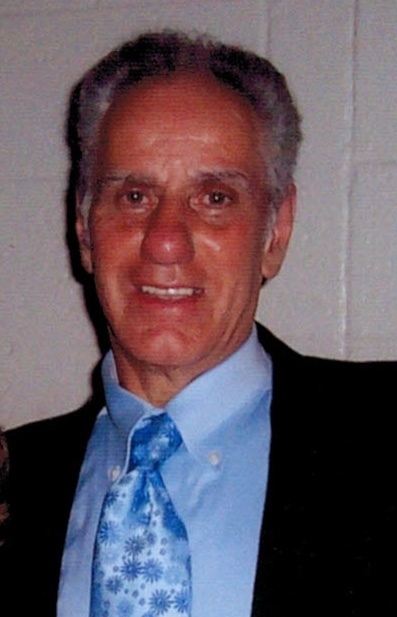 Fred D. Falvo, 70, of Warren, PA. died Saturday morning, November 3, 2012 at his residence. He was born December 13, 1941 in Warren, PA. to the late James V. Falvo and Sophie Gigliotti Falvo Johnson. He was a lifelong Warren resident and a 1961 graduate of Warren High School. Fred was employed with the former Struthers Wells Corporation as a welder for 20 years and retired from Penn24 Plumbing and Heating where he was a plumber for 6 years. He was a member of Holy Redeemer R.C. Church and the Warren Moose Lodge 109. He was an avid Nascar fan and supported any driver who drove a Ford. Fred was known as the family and neighborhood “Mr. Fix It” guy. His favorite pastime was tinkering in his garage, and enjoyed meeting his buddy’s for coffee at Country Fair. His family and especially his grandkids were his whole being. He was lovingly called Papa and grandpa. We are so sorry to hear of Fred’s passing. He was a great guy. Our thoughts and prayers are with you during this time of need. You are in our prayers. Fred was a good man and father. Bless you, your children, and grandchildren. We are so sorry for your loss. Our thoughts are with you and your Family. Our memories of Fred will live on. Fred will be missed by many. He was caring and always had a smile when he saw you. I remember when he brought the Calico Kitten to us when we lives on Prospect St. If you or you Family need anything Please let us know. Liz I am sorry to hear of Fred”s passing our prayers are with you and the family, we love you so much. We are so sorry to hear of Fred’s passing. Our thoughts and prayers are with you. Fred was a great guy and will be missed.. I was sad to hear that Fred had passed away. I have fond memories of Fred from my youth. He would always come to visit my Dad, Bert on Glade Ave. Fred was so kind to my dad. . I can only imagine what a wonderful grandfather was was. I hope you find peace in knowing how many people loved Fred. I was very saddened to open the paper this morning and see that Mr Falvo passed away. You all are in my thoughts and prayers through this difficult time. I will always remember seeing Mr Falvo at all of our softball games from about 8 years old until we graduated. He was a wonderful guy and he will be missed. God Bless you all! So sorry to hear of Fred’s passing. He was truly a friend from our early days together in “Hook town” and was always there to lend a helping hand in my Mom’s later years. I’ll always remember your visit and staying with us here in California. We always regarded Fred as family. He will be missed! You have our heartfelt condolences. Sorry to hear of Fred’s passing. Condolences to the family. We were so sorry to hear of Fred’s passing and that we were unable to make it to Warren . You are in our thoughts and prayers.May happy memories carry you all through this sorrowful time.If there is anything we can do please don’t hesitate to ask.